As a singular position the Outfield is rare because it offers a combination of around three times as much opportunity for bargain and three times as much risk of bust. It is almost as if instead of asking you to look for a needle in a haystack you were given three haystacks and asked to look for three needles. Oh and by the way, don’t pick the soon-to-be-suspended needles (Starling Marte), or the needles who get injured (Joc Pederson, Yoenis Cespedes), or those real pesky needles who decide to continue to play while they continue to drag down your team as you dream of the Summer turn around that never comes to fruition (Mark Trumbo, Carlos Gonzalez). For my inaugural article both for this year and for this site, I hope to help navigate fantasy owners in the direction of the correct fantasy needles. Jones has had a truly remarkable career as both the star Center Fielder for the Orioles and a consistent Fantasy OF1 throughout his peak years. But, he is now 32 years old and it would appear that the best seasons are behind him. 32 is by no means ancient– we have recently seen players like Ortiz and Beltre have incredible careers late into their thirties– but different players and different skill sets age at different rates. Jones’ career trademarks have been his refusal to walk and his ability to chase pitches outside the zone while still generating solid contact and power. These are not skills that typically age well. It may be a bit of a cliche but isn’t the profile of skillful veterans that they’ve become wiser to make up for their loss of physicality? Jones doesn’t walk and he doesn’t wait for his pitch, and now that he is past what you may call the physical peak, these traits may manifest themselves in a sharper decline. On top of my concerns over Jones’ aging, Jones skillse t is just frankly not as valuable in the current Fantasy Baseball “climate” as it used to be. In 2017 Jones posted a modest .285 BA with 26 HRs along with solid counting stats fueling his fantasy value. Jones used to be a stable power source, but the power around the league has gone berserk and finding homers just simply isn’t a challenge anymore. Meanwhile Jones’ career stat line has gone the opposite direction with his 26 HRs being his lowest total since 2011. That power just frankly isn’t special right now, and for Jones that’s a high proportion of the perceived value he provides. His BA of .285 is solid but was also accompanied with a BABIP that was a few ticks high for Jones (.312 after being under .290 the previous two seasons). I see Jones finishing with a sub-.270 BA as he did in both 2015 and 2016. In my opinion Jones will be a decent HR/RBI/R stat stuffer who has a threat of age regression who will be priced more like a player who has a potential to bounceback. And here’s the other thing about Adam Jones– if you disagree with me, you may still not want to draft him. If you’re able, the best way to acquire Adam Jones may be through a midseason trade towards the end of one of his lengthy and all-but inevitable slumps and right before the hot streak that makes his season. Puig also has a few red flags with his batted balls that concern me when projecting his Batting Average moving forward. To start, Puig had the 15th highest Pop-Up% in 2017 with a 15.3% rate. Pop-Ups are essentially strikeouts when you’re talking about projecting an outcome and these account for a substantial number of balls that Puig is putting in play that are innocently floating into the gloves of infielders. The Pop-Ups have been a problem for Puig each of the last two years and figure to hurt his projected BABIP. More than just the pop-ups, Puig is a hitter with a pull-tendency, a low Line Drive rate, and Hard Contact Rate that all leave something to be desired. When you add it all up, I have legitimate concerns that Puig could have some struggles and produce a fantasy line that leave fantasy owners cursing him again. I don’t necessarily hate Hopkins either. But I think there are a few factors that can’t be ignored about him that concern me going into the 2018Season. Rhys has managed to generate quite a bit of offseason and preseason hype in regards to his potential as a fantasy asset in 2018. What has most people on the hook when it comes to Rhys Hoskins is his rare combination of Contact and Power. Rhys not only managed to hit an absurd amount of home runs in his short time in the Bigs in 2017, but he did so while generating only a 7.1% Whiff%, which, if it were a qualified sample would have been tied for 28th Best in Baseball last year. This is a rare combination of power and contact ability that could and likely will propel Rhys Hoskins to a successful career as an MLB power hitter. So why am I calling Rhys a bust? For one, I believe that all rookies come with a great bust risk that is as obvious as it is often ignored. More specifically though, I am not quite as sold as others on Rhys’ ability to hit for average right out of the gate of his career. While I myself will celebrate the contact ability of Hoskins, contact is not everything when it comes to hitting for average. In the minors, Rhys was an extreme flyball hitter who showcased a good amount of both pop-up and pull-tendency. There are plenty of MLB examples of players who showcase good contact but have failed to hit for average. One is teammate Maikel Franco, who was in a similar position to Hoskins a few years ago as a hot commodity with presumed power and contact ability. The best comparison I’ve been able to place personally on Hoskins is actually Jose Bautista, which is not unflattering at all. However Bautista was also a player prone to low BA seasons. If Hoskins does have some of those batted ball concerns, they could mean he takes a year or more to get his career into full gear, in which case his 2018 fantasy line could likely end as a bust. This one might come as a surprise because of Blackmon’s presumed price. But I have to give Blackmon the third spot of my Outfield Bargains here because I believe that anyone drafting Blackmon in a redraft outside of the top 3-4 players is getting a potential bargain. Blackmon finished as a five category monster in 2017 and finished 4th on ESPN’s Player Rater for 5×5 Leagues. He is a lead-off hitter who is likely to finish well over 700 PAs if he stays healthy and plays in a park that warps the reality of what is and what is not physically possible on a baseball diamond. Blackmon doesn’t have the shine or the appeal of some of the other blue chip fantasy players because Blackmon is without a doubt a late career breakout. He has played in about four straight seasons where each was better than the last, ranging from 28 to 31 years old. Specifically though, Blackmon has made astonishing improvements to his splits and his ability to hit left handed pitchers. Blackmon has Coors to give his BA an absolute elite ceiling and his lefty pull power plays well not only in Coors, but in numerous ballparks across the country. And, while his SB prowess over the past couple years hasn’t quite been what it was before, in a world where a reality star is President, the Cleveland Cavaliers’ GM appears to be a 13 year old playing 2K, and Nick Foles is the Super Bowl MVP, stranger things have happened than Blackmon stealing more than 20 bases again in 2018. Blackmon is a five-category stud, and a draft bargain. It’s hard to know exactly what the future holds right now for Santana. Previously it seemed obvious after a strong 2017 Campaign both in Fantasy (63rd on ESPN Player Rater) and in reallife (3.3 WAR) at just 24-25 years old that Santana had locked himself in as the starting RF for the Brewers. But after acquisitions of Lorenzo Cain and Christian Yelich it’s hard to know exactly what the future holds. This may be fantasy draft limbo. But, if you can get a discount it’s time to buy. Sometimes you have to just draft the skills and in the case of Domingo Santana I absolutely love the skills. Alongside having a strong Power/Speed Combo with 30 HRs and 15 SBs in 2017, a threshold that only 7 players (Trout, Myers, Goldschmidt, Dozier, Souza Jr., Lindor, and himself) managed to accomplish, many of whom can be found in the upper rounds of drafts, Santana also is among the league’s elite when it comes to a number of batted ball metrics on Fangraphs. Santana had a massive BABIP last year .363. He produces a ton of line drives, never pops out, always hits the ball hard, never hits the ball softly, and utilizes an approach that sprays the ball to all fields. Plus if he is able to stay as a full time player on the Brewers or find a suitable landing place, a potentially improved lineup could mean good things for his counting stat projection. I have to save all the flash for last right? Alright I’m projecting a 40/40 season for Inciarte with a batting title. Okay, not really. Ender Inciarte will likely never be a casual household name or set the world on fire with his offensive accomplishments. What he will do, however, is be an excellent fantasy bargain. Here’s the thing about Ender Inciarte: even when you think back to last year it really doesn’t seem like he did all that much. There’s probably no one saying “Ender Inciarte won me my league,” but according to ESPN he was the 47th most valuable player in Fantasy Baseball last year and that’s because Ender can do so many things to help your fantasy team at a fraction of the price that his combination of skills should cost. Firstly, Ender’s effect on a team batting average in roto is greatly underappreciated. As Atlanta’s lead-off hitter, he managed to lead the league in At-Bats and finished as one of four players to get 200 Hits in the 2017 season. Not only is Ender’s Batting Average good, but as long as he’s staying healthy his Batting Average is weighing into your team average more than anyone else’s– and that’s a good thing. Altuve, Blackmon and Gordon are the other three players who would have given your fantasy team 200 Hits last year and all of them are not going to have nearly the potential to return value as Ender will. And, if he does get a little batted ball luck, it wouldn’t surprise me to see Ender finish as the league leader in hits. Ender’s 22 SBs, while a career high, is not outside of his career norm, as he has averaged over 24 SBs per 700 PAs over the last four seasons. 20 SBs doesn’t quite make you leap out of bed in the morning but it’s a threshold that only 17 Batters hit last year. Similarly, Inciarte didn’t quite hit triple digits for his Run Production but 93 Runs, T29th in Baseball, is quite a nice addition to a fantasy team. Inciarte is a fantasy asset who provides strong three category value but lacks the traditional stat line or power and speed combination of a normal top 100 fantasy player, and thusly can be had at a bargain. 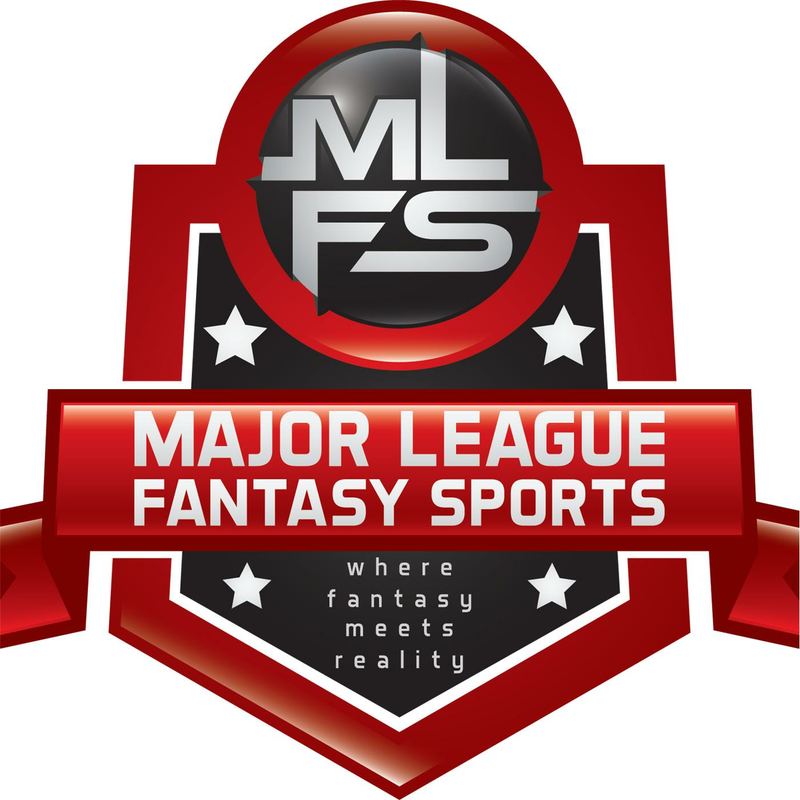 Major League Fantasy Baseball Show: Join host Brian Roach, Jr, and John Gozzi live on Sunday February 11th, 2018 from [7:30]-9pm EST for episode #97 of Major League Fantasy Baseball Radio. We are a live broadcast that will take callers at 323-870-4395. Press 1 to speak with the host. This is our kick off show for the new 2018 fantasy baseball season. We will discuss the latest information in the world of fantasy baseball. Our guest this week is Joe Iannone. Joe is a tenured writer with majorleaguefantasysports.com. Click on his name to see his portfolio of writing. His main focus is in the pitching arena. How high are you reaching on Inciarte? Top 75 guaranteed. I think he could be a fringe top 50 overall player this year. I may not be accounting for durability enough because Inciarte does play a taxing position, but if he stays healthy for 158+ games I think Inciarte will easily be a top 50 fantasy option. “65 Mustangs” Booms n Busts – What I Learned About Drafting Relievers Last Season.